Iâ€™m a fan of TPU in cases, and I like that Spigen used it for the front bumper. Itâ€™s soft to the touch, but case designers can still carve some strong lines into the material to give it some interesting shapes. Itâ€™s also not nearly as fuzzy or lint-prone as soft silicone. 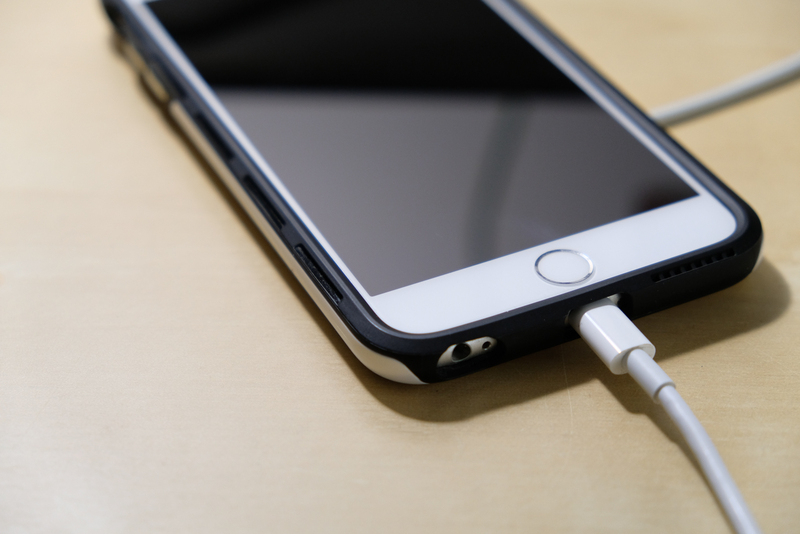 The way youâ€™ll install this Thin Fit Hybrid is to place the TPU bumper onto the front of the phone, and then click the rear polycarbonate plate into place. 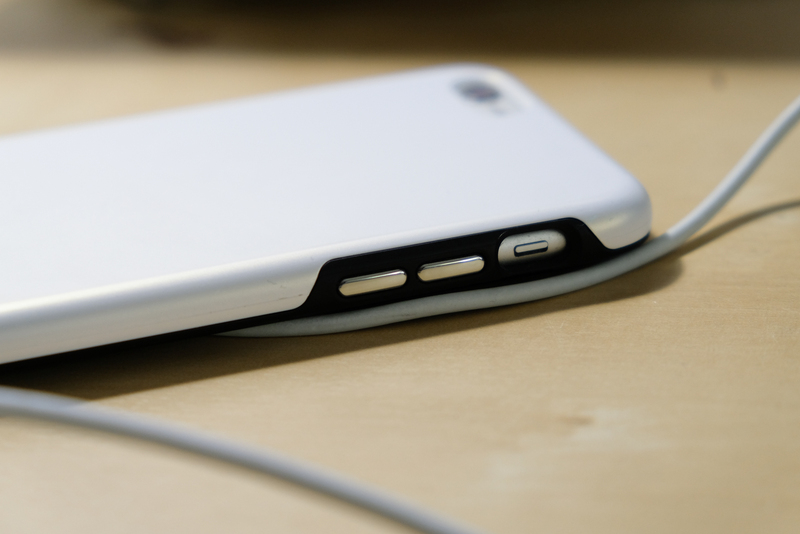 The case fits like a glove over the phone, and youâ€™ll never hear any creaking as you turn it over in your hands. Iâ€™ve had the case for a few months now and have thrown it into pockets with spare change, and the package still looks like new. The iPhone is definitely a little larger due to the the polycarbonate shell, but on the whole it feels a lot easier to grip. The TPU has grooves built into where your fingers can find a little more purchase. This makes it easier to read with, and the extra grip makes me comfortable taking pictures on the 6S Plus without fear of dropping it. The chrome volume and power buttons are a delight to press â€” just enough give that you can feel a click, but not so tough that youâ€™ll miss having a naked iPhone. The tolerance on these buttons is excellent, and Iâ€™ve never felt them wriggling in place (something that happens often with cheaply-made cases). I also like the extra large cut-out for the 3.5mm jack, which allows me to use any of my earphones with the Thin Fit Hybrid. The Lightning port is also easily accessible, but itâ€™s a little too deep for my little Belkin iPhone dock to handle. 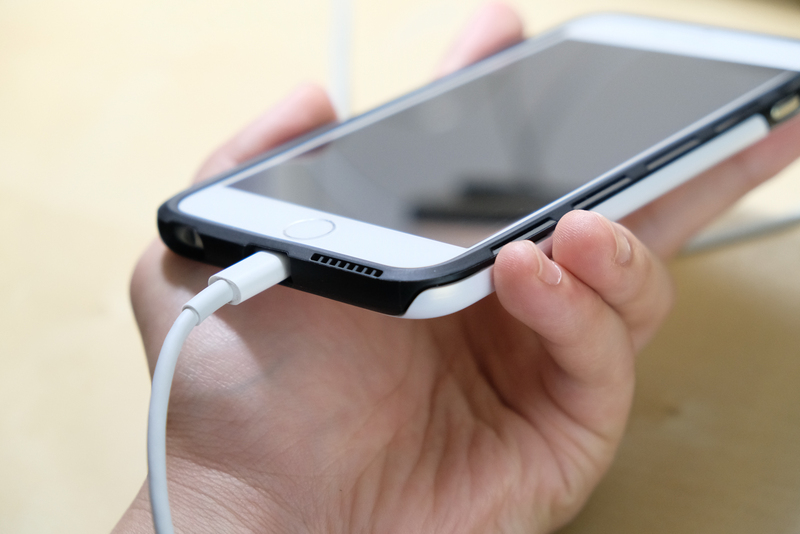 So if youâ€™re a person who relies on an iPhone dock at your desk or bedside â€” youâ€™ll likely have to return to a cable when youâ€™re using this case. The forward speaker grill works very well. It pushes the sound forward so you can hear videos more clearly, and youâ€™ll never have issues with accidentally blocking the speakers because of the way you hold your iPhone. 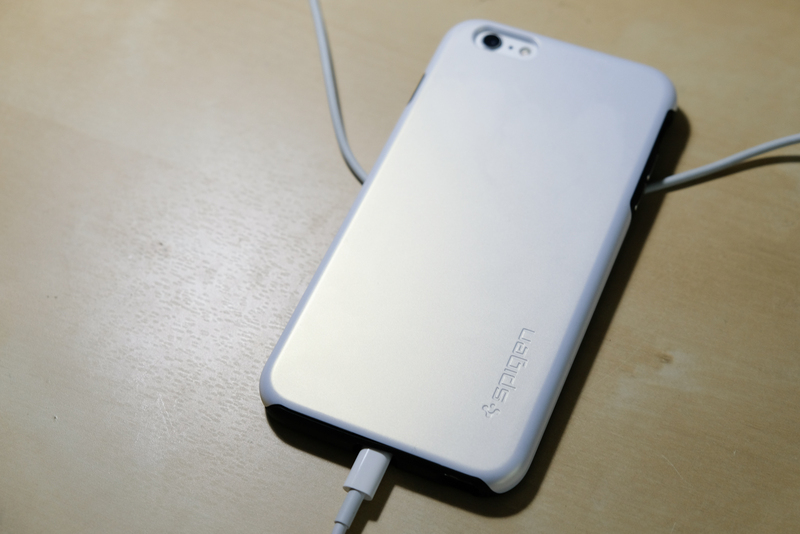 I usually love Spigen cases, and although the Thin Fit Hybrid is just $20, itâ€™s still a very well-made accessory. The only thing that marred the experience for me is the strange pearlescent-white colouring. I really wish this were more of a matte white that didnâ€™t show any hints of yellow in bright lights. All things considered, I would probably have enjoyed the black version a lot more.